If you are going to write a book called The Ultimate Navigation Manual you have to expect it to come under some close scrutiny. 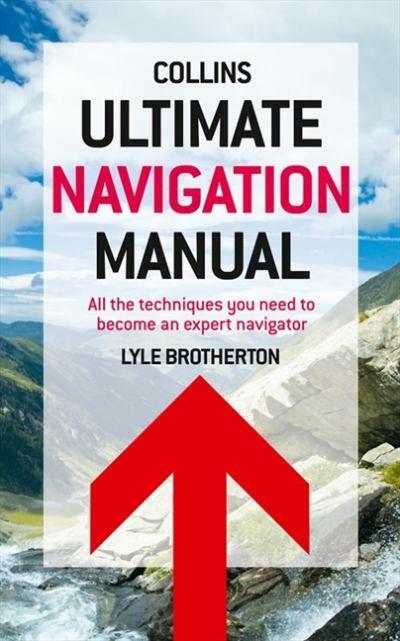 This book, by Mountain Rescue team member Lyle Brotherton aims to cover every aspect of land navigation, gathering existing common training with best practice from various military and SAR teams across the world. I first learned of the book on an outdoors website, where its merits and shortcomings were being discussed. My interest was sparked, and I sent off for a copy. Mr Brotherton obviously knows his stuff, but there is the odd part which is either confusing or wrong. Not wrong in a “Trails magazines’s infamous route off Ben Nevis” wrong. More minor continuity errors than anything. Occasionally there are paragraphs which contradict something already stated elsewhere in the manual, such as the contour interval on 1:25,000 OS maps as being 10m, then in another section 5m (in fact it is mainly 10m, and 5m in areas where there is so little difference in height that 10m contours would not provide enough detail). On page 66 in the expert facts section, it states that declination is known in the military as Grid Magnetic Angle (MVAR). I was a map reading instructor with the army and had never heard the term MVAR. Ever. It is not contained in any of the issue manuals. I googled it and eventually found one very obscure reference to the phrase. The British Army uses the term GMA, Grid Magnetic Angle, which is the angle of declination between magnetic north and the grid. One completely wrong fact is that “gates are not marked on OS Landranger or Explorer maps”. Gates may be marked on OS Landranger maps, although not all are, and you will find the symbol on the map legend. As I say not serious mistakes, just enough to keep pedants like myself busy for a while! There are some minor inconsistencies, such as the use of bold grey type within paragraphs, which are meant to refer you to the index. Some have the page number listed next to them, others don’t, and in at least one case the point referred to isn’t indexed. These are more proof reading or publishing errors, and are niggles which in time will be picked up and corrected. Don’t however let these moans put you off, this is after all the first edition. I’m overwhelmingly confident there will be a second and a third edition, because once tidied up this will be the bible of land navigation. From the basics of what is a map, to datums, compasses and bearings, ancillary equipment to satellite navigation systems and computer mapping, I can think of very little which is not covered. There are some very good sections on specialist navigation techniques, and while I would perhaps argue with their order of preference (I would rank night navigation first, over all others, but that’s just my opinion) you can’t say that there are any glaring omissions. It’s also very welcoming that Mr Brotherton seriously recommends the use of satellite navigation. Many people who ask for advice on which unit to buy are often sneeringly told to learn to use a map and compass instead. That’s not the case here, with almost everything (and I say almost only to cover myself) covered, right down to which type of batteries should be used. For many years I have been advocating Geocaching to anyone wishing to get to become proficient with satellite navigation units, and it’s good to see it rates a mention here, as it is undoubtedly an aid to learning. The author is obviously aiming this at an international market, and the occasional references to azimuths show that, a term more familiar on the American side of the Atlantic. That’s nothing surprising when you look at his track record, having taught search and rescue techniques in over 24 different countries! There is, what appears to me to be a degree of product placement in the book, with repeated plugs for a particular brand of compass and a particular brand of rather expensive binocular most apparent. Likewise it is the highly praised compasses one deficiency which has probably led to the development of Mr Brothertons take on the romer, which he sells from the website which is associated with the book. The book is designed in part to be used with the website. The website is still in its infancy and new content is continually being added. From here, amongst other things, you can download a programme of activities which you can use in conjunction with the book as a guide for beginners. Video content is used to explain some of the techniques in the book, and you can use the forum to contact the author. There is nothing earth shattering in the book. Almost everything is available elsewhere, spread across a variety of titles. What the writer has done is bring all these techniques together in one volume, and explained them with clear and easy to understand diagrams and pictures. Whether you are a complete beginner, an occasional dabbler or an old hand this book has something to offer you. If it doesn’t, your name is probably Lyle Brotherton. A very interesting and helpful review! I’m puzzled by your comment . Could you supply a page reference, please as I don’t remember reading this. I don’t think that gates are shown on ether Explorer or Landranger maps. Cattle grids on roads are depicted on Explorer either spelled out in full or with the abbreviation ‘CG’. It seems that I’m unable to copy and paste the quotation from your review so my weary old fingers will type it! I’m puzzled by this comment . Could you supply a page reference, please as I don’t remember reading this? I don’t think that gates are shown on ether Explorer or Landranger maps. Cattle grids on roads are depicted on Explorer either spelled out in full or with the abbreviation ‘CG’ and gates on roads are marked on Landrangers with a symbol (but I think that these, too, are cattle grids). Field gates are not shown on either Explorers or Landrangers. This comment is on page 324, under GATES. Thanks for the page and grid references. I’m afraid that I did not read this section of the book carefully because I’m not competent to comment on mountain rescue techniques. However, both you and Lyle are partially correct! I agree that gates are depicted on both Landrangers and Explorers but only on roads. Emergency vehicles are normally 4 x 4s which can cope with tracks and some paths, so the location of gates on these routes is important, but they are not depicted and I think that this is what Lyle had in mind. I’ve also checked maps of England and can confirm that gates are not marked on rights of way. Reading this page carefully, I note that he has a heading ‘Small bodies of water’ in which he mentions the limits on the size of ponds, tarns, lochans etc that are shown on maps. He is correct but, as Michael Caine might say, not many people know this. I’d like to see the 2nd edition include a section covering the limitation and simplification of maps because so few navigation manuals cover this aspect of cartography in sufficient detail. I’ve corresponded with Lyle and agree that he comes over as an all-round good egg. I was particularly impressed when he asked me to take him for a walk so that he could appreciate some of the problems of navigation in lowland countryside. Not many authors of authoritative manuals would do this. I did check on the Explorers at the same grids and could not see any gates marked, neither could I find them in the legend. If you could supply grids that would be helpful. I also noticed the part about small bodies of water. There is a small pond near here which is marked on the map, and would equate to 67m wide if I am measuring it correctly, however on the ground it is far less than that, and certainly not 50m. I emailed OS for clarification but have not received a reply yet. Glad you contacted Lyle, he does seem a really good guy, who is willing to take on board comments. Ho hum, yes you are right! Gates are marked on roads on Landrangers but not, as far as I can see, on paths, and definitely not on rights of way in England. However, on Explorers if you check the legend under ‘General Features’ the right hand column contains an alphabetical list where it is stated that ‘CG’ stands for ‘Cattle grid’. Now, I checked the three grid refs that you sent me and find that the symbol for a gate appears on the Landranger but neither symbol nor CG appears on the Explorer. I’ve also checked several locations in the Yorkshire Dales, where cattle grids are common, and find that there is no consistency of practice. On the Landranger I’ve found the symbol for a gate, but at the same location on the Explorer there is no ‘CG’. Similarly, at another location on an Explorer I’ve found a cattle grid but there is no symbol on the Landranger. This leads me to suppose that, on Landrangers, only gates without grids are shown, and on Explorers only gates with grids. I’ve checked my copy of Harley’s ‘Ordnance Survey Maps; a Descriptive Manual’ but the author is silent on the subject. But he does mention that one of the purposes of the Landranger series was to supply motorists with as much information as possible. Now a cattle grid does not impede a motorist but a gate without a grid certainly does. As far as I can make out, cattle grids and gates are only depicted on roads. I’ve never found a gate depicted on a right of way. Harley states that bodies of water are only depicted beyond the size Lyle mentions; but how are they measured? In a drought they may shrink, even disappear, and after prolonged rain may increase in size. I’m glad to note that you, too, bother the OS from time to time. I always find the staff most helpful.